At MANU KAI we realize how important it is to understand and master all algebraic concepts and skills, so we’ve developed a program tailored to meet student’s needs regardless of their current mathematics ability or grade level. 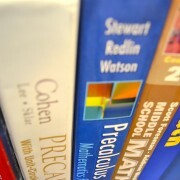 Our unique mathematics program was developed to address all gaps that a student might have in their mathematics education. Our math specialists will work with your student, at their own pace, to address and ensure the learning of every important mathematics concept. In 2004, successful completion of Algebra I became a high school graduation requirement in California. The University of California requires at least three years of high school mathematics, preferably four, just to be considered for admission. 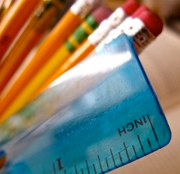 Of the required mathematics courses for admission to a UC school, geometry is one of them. 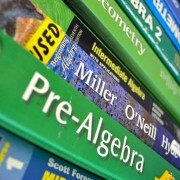 In order to enroll in geometry, a student must first pass Algebra I. Not only is Algebra I a requirement for all higher mathematics courses in high school, it is also the backbone of all the natural sciences. Having a solid understanding of mathematics, especially algebra, is priceless and necessary in a science class. But understanding algebra is challenging. The typical student who is used to mathematics involving only numbers and simple operations, now suddenly encounter letters—variables—and other new symbols. The student might feel confused, overwhelmed, and frustrated. Add to the frustration the fact that teachers must spend an increasing amount of time preparing students for state-mandated standardized tests such as the STAR, and the quality of instruction devoted to a demanding subject like algebra can become compromised. Often augmenting the problem is the well-meaning, but poorly implemented, Common Core method of teaching, coupled with the new Mathematics I, II, and III integrated classes. Unfortunately, all the well-intentioned state mandates involving mathematics, especially with Algebra I, might have negative consequences on a student’s actual mathematics understanding and inspiration to pursue a technical career that involves mathematics, such as science and engineering. What may have been once a motivated student eager to become an engineer is now a frustrated teenager enrolled in an algebra II or pre-calculus course barely passing and merely striving to achieve a suitable grade to show on a transcript for the sole purpose of college admission. With this in mind we have developed a mathematics program that aims to fill important gaps that may have accumulated. Our goal is to provide students with the tools necessary to succeed in current and future math and science course, and give students the chance to explore the possibility of a future that utilizes these key concepts. For more information about our math program please contact us at any time. We look forward to hearing from you!